or any disabled services can delay (or in some cases result in unsuccessful) fail over operations. WARNING: Cannot find “RegistrarConfiguration” “Registrar:<Prod_S4B>” because it does not exist. 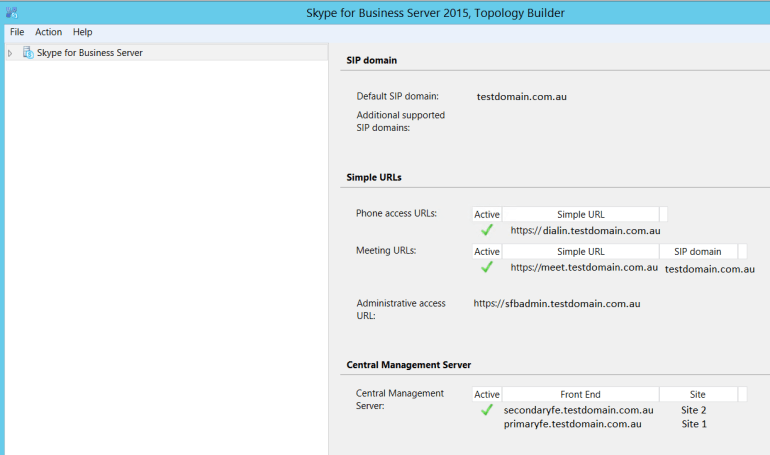 only on servers running Lync Server 2013 or later. (2) and warnings (0) are addressed before continuing. Note: Please replace “frontendname.domain.com” with your own server FQDN. Run the command for each standard edition server. To ensure the service level information has been loaded correctly. The reason why the CentralMgmt.CMSMaster “OverallImportStatus” is “NotInitialized” as there can only be one CMS Master. 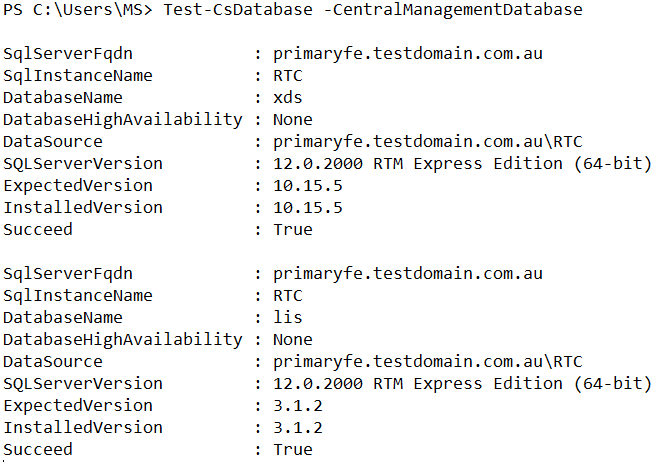 In this instance the primaryfe.testdomain.com.au is the CMS Master. 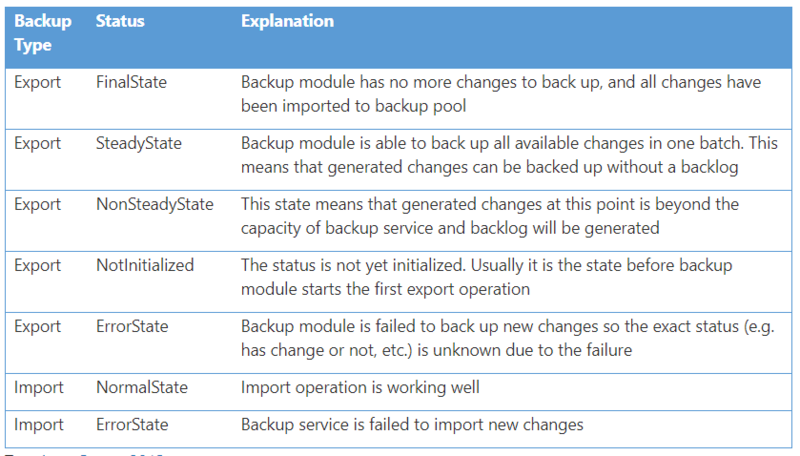 The reason why the CentralMgmt.CMSMaster “OverallExportStatus” is “NotInitialized” as there can only be one CMS Master. 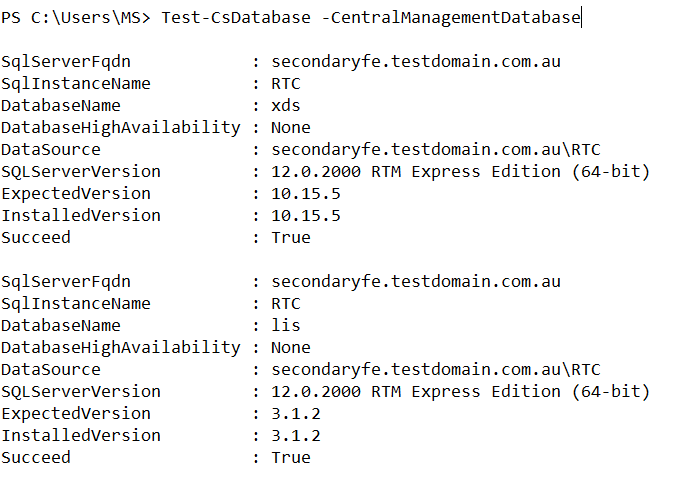 In this instance the secondaryfe.testdomain.com.au is not the CMS Master. 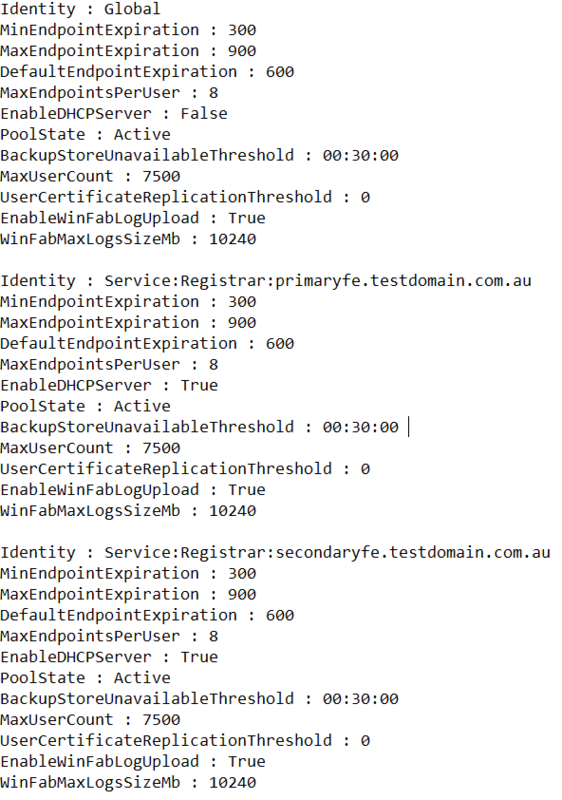 Note: There is no reason to check the Pool Fabric State as this is not an Enterprise Pool containing multiple frontend’s. Note: If this is a true DR situation most of the above health checks will fail as the query cannot communicate with the CMS Master server. Note: If the “ActiveMasterFqdn” is not populated, do not worry allow it takes a few mins to update. While this is happening you can launch the Topology Builder and verify that it has failed over. 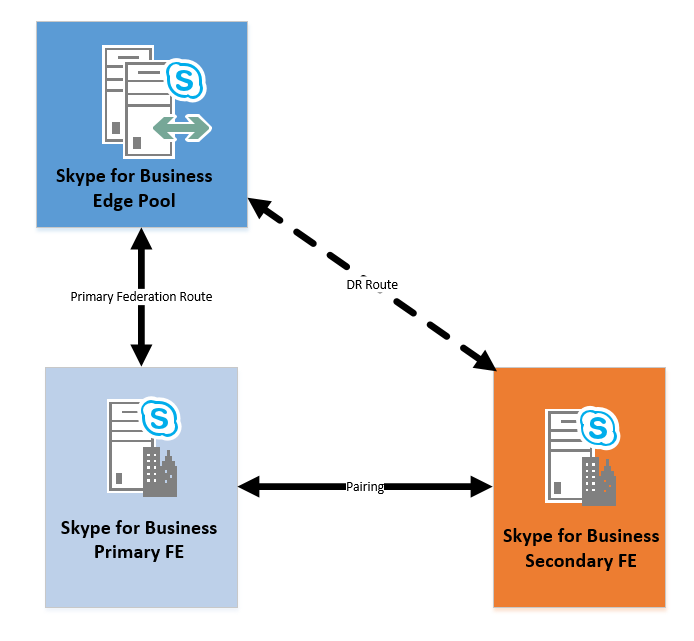 As per “Figure 1” you will see that in this deployment there is only a single edge pool which is the next hop for the primary frontend server. In this deployment the servers are separate into their respective sites, primary being Site 1 and secondary being Site 2. You have now successfully failed over the environment to the Secondary Frontend.